The annual conference of the 7th Japan Association for Human Security Studies was held at Ritsumeikan University in Kyoto, Japan from 4 to 6 November 2017. I participated in the panel discussion on the issue of ‘human security in conflict and post-conflict’ with three presenters. Other presenters were Prof. Yuji Uesugi of Waseda University and Ms. Ako Muto of Japan International Cooperation Agency (JICA). The Panel was chaired by Prof. Naoki Ishihara of Ritsumeikan University, and attended also by Prof. Miwa Hirono of Ritsumeikan University as a discussant. In my presentation, I questioned whether the rapid militarization of the UN Police, who serve in UN Peace Operations, and the rise of protection of civilians mandates are related. She introduced the evolution of the UN Police, and provided analysis of their mandates, tasks and types of personnel. She pointed out that the UN Police has been rapidly militarized after their emergence only in 1999. Their largest identified strength in the 1990s was their proximity to the community they serve for. Militarizing them is undermining the top strength they could offer. She then questioned whether this was related to the rise of protection of civilians (POC) mandates. In the process of mandate formation, it does not appear to be a strategic decision to increase POC mandates, and it also does not seem that the UN Police is militarized to respond to increasingly demanding POC mandates. It may rather be the volatile situation into which recent UN Peace missions are deployed that is determining the need for militarized personnel. She discussed the possibility that the budget and the ease of deployment process of militarized police may be contributing to the growth of militarized police units called Formed Police Units (FPUs). In the same panel, Prof. Uesugi discussed the legitimacy of UN Transitional Administration in Timor-Leste, and introduced his view that local people were not systematically involved in the running of UN transitional administration. Ms. Ako Muto presented on her findings on the resilience approach to the conflict affected community with a case study on Syria. The plenary of this two-day conference had Mr. Yukio Takasu, Special Adviser on Human Security to the UN Secretary-General, as the keynote speaker. He explored human security approach and alerted the audience that situations in Japan need to be analyzed with human security perspective. He introduced his upcoming project at Human Security Forum, a non-governmental organization attached to the University of Tokyo, to verify the level of human security achieved in each province in Japan. Two plenary sessions followed his keynote speech. 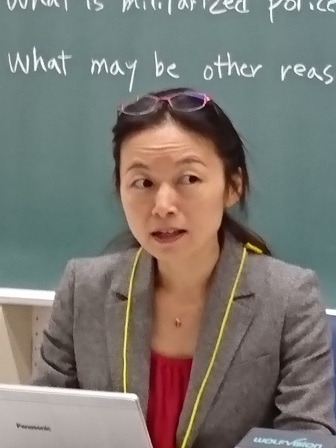 One was on Human Security and R2P from Regional Perspectives, with three distinguished speakers: Prof. Mely Caballero-Anthony of Rajaratham School of International Studies, Prof. Chiharu Takenaka of Rikkyo University, and Prof. Mitsugi Engo of the University of Tokyo. They spoke about regional perspectives on human security, in South East Asia, South Asia and Africa, respectively. The other plenary session was on the responsibility to protect and POC from security providers’ perspectives. 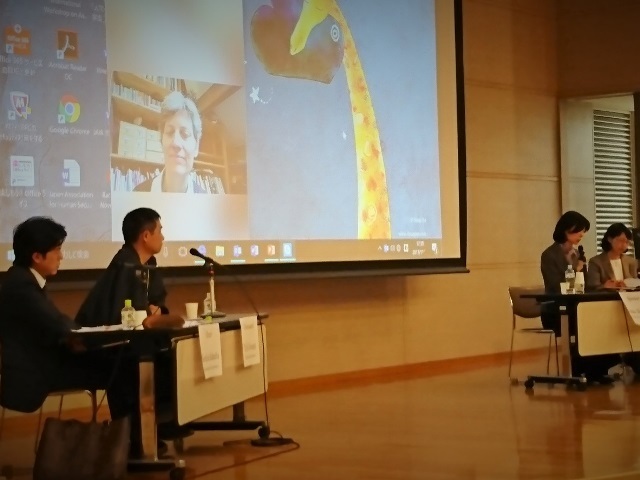 Three speakers, Prof. Nanako Shimizu of Utsunomiya University, Prof. Yukie Osa of Rikkyo University and Prof. Rachel Julian of Leeds Beckett University, made presentations. Prof. Shimizu discussed on the limit of the UN as a world political organ. Prof. Osa spoke about the International Criminal Tribunal for the former Yugoslavia (ICTY) and questioned whether ICTY has in fact divided the community by confirming a divided memory. Prof. Julian spoke about unarmed civilian peacekeeping, and argued that unarmed civilian peacekeepers can contribute significantly to keeping peace. During the two-day conference, 10 thematic sessions were held on human security related issues.